Bet365 is one of the top bookmakers in the online casino industry. It offers large bonuses, high limits and some of the best odds anyone can find. Bet365 is one of the trusted bookmakers in the online casino industry. It is known for honoring player’s withdrawal requests in a prompt manner. Other than sports betting, it also offers casino games and poker tournaments. 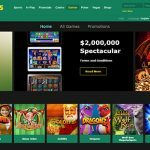 These make the site more appealing to Bitcoin online gambling players. Fortunately, players can use their bitcoins through NETELLER. 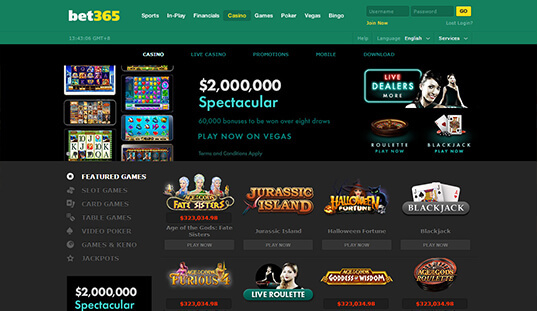 Bet365 began operations in 2001 as an online site for its games. It received a license from the UK Gambling Commission. This office makes sure the casino’s games operate in a fair way for its players. But due to strict country regulations, players from certain countries like the US, Hong Kong, and more cannot create an account to play on this site. One of the site’s features is its large selection of sports matches for players to bet on. There are odds available for the hottest sports across the world. Expect to find odds for football, basketball, baseball, rugby, and more. You’ll even find odds for squash, trotting, greyhound races, formula 1 and futsal matches to name a few. 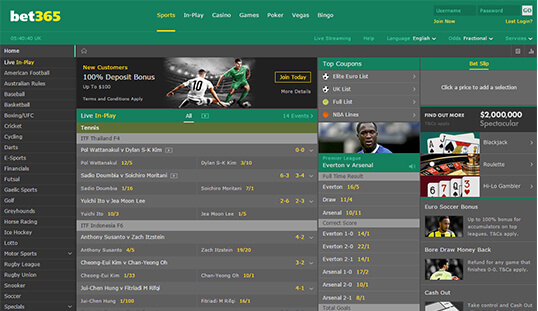 Bet365 also have bets for different eSports games, such as Counter-Strike, League of Legends, and Dota 2. This makes it one of the go-to gambling sites for eSports betting. But other than sports betting, this site also offers an online casino filled with the most popular games, as well as an online poker room. Bet365 has a large selection of casino games from different software developers like Microgaming and NetEnt. They also have casino games with live dealers. 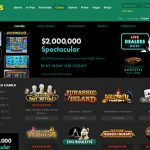 The site’s casino arm uses a bevy of top-quality game content providers, including Playtech, Betsoft Gaming, and NextGen Gaming. Registration at Bet365 requires a player’s name address, email address, and other info. An account also has a security number. This provides additional security to a player’s account. This site isn’t a Bitcoin gambling site, so anonymous accounts don’t exist here. A strict registration process is practiced here to comply with KYC and AML laws. 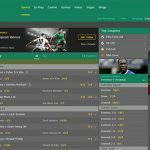 There are several bonuses and promotions offered by Bet365. These include the welcome package, which is 100% of a player’s deposit up to $100. It also offers other bonuses for bets on sporting events. On top of these, players can also get the 50% parlay bonus on US or Canadian sports, up to £100,000 Euro Soccer bonus, and up to £100,000 Tennis Accumulator bonus. 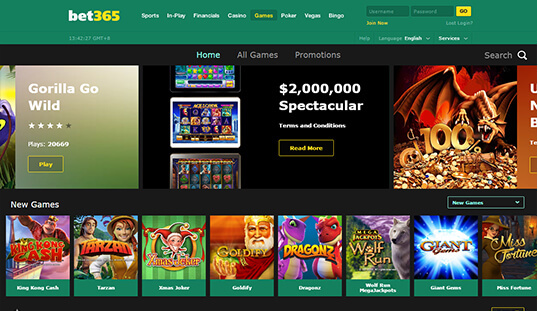 Bet365 games are compatible with different mobile devices. The casino also allows players to watch live matches and racing events on their phones or tablets. There are a number of ways for players to get in touch with a Bet365 staff. Customer support is available through phone. You can also reach the support team when you send them an email. You can also talk to them on live chat.